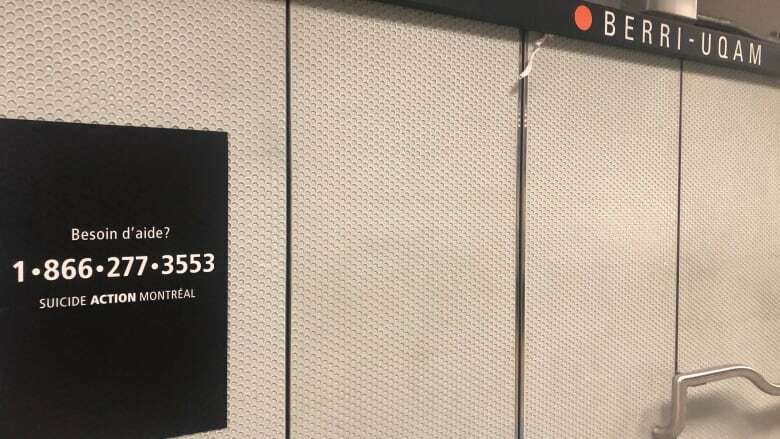 The number of suicides in Montreal’s Metro system has gone down over the years, and a new poster campaign aims to reduce that number even more. The number of suicides in Montreal's Metro system has gone down over the years, and a new poster campaign aims to reduce that number even more. Montreal's transit authority has partnered with Suicide Action Montreal on the campaign. The sombre black and white posters have been installed in Berri-UQAM station and say in French "Need help?" followed by a phone number and the words "Suicide Action Montreal." Manager for Suicide Action Montreal's training and consulting services, Melissa Lutchman, said the help line offers people going through a hard time somewhere to turn. "It's also there for others — commuters who aren't in distress but know someone who is thinking about suicide," Lutchman said. She said that suicide attempts in the Metro aren't going up, but hopes that the advertisements help reduce them even more. The posters are only in Berri-UQAM station right now, but are expected to roll out in a total of 15 stations. STM spokesperson Isabelle Tremblay said it will be difficult to measure if the posters prove effective. "However, experts believe that this kind of information can help prevent unfortunate things," Tremblay said. Lutchman said if commuters do see someone in distress, they shouldn't directly intervene. 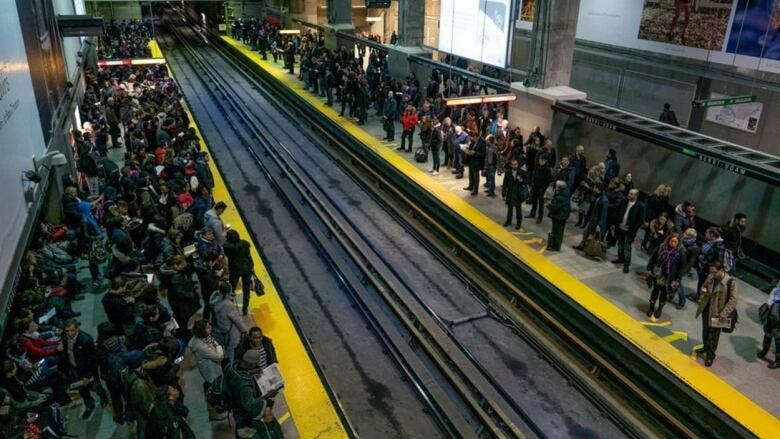 "The best way to get this person help is to go see an STM officer, to go to the ticket booth or pick up directly those phones — those red phones in the metro system," she said.